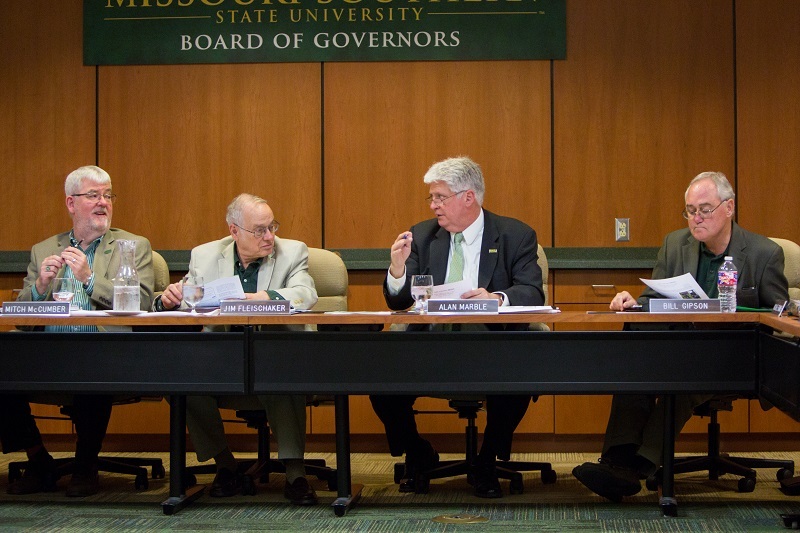 The Board of Governors at Missouri Southern State University adopted an $80.2 million budget for Fiscal Year 2018 during its meeting on April 21. Financial aid and scholarship expenses account for $16.7 million, resulting in a net operating expense budget of $63.5 million. Compensation and benefits – $41.8 million — represent 66 percent of the net operating budget. In other business, board members toured the new Lion Cub Academy. Located at 3600 Newman Road, the former Child Development Center has moved from Taylor Education Building to its new location, where it will continue to provide care for the children of students, faculty, staff and alumni, from ages 1 to 5. The meeting marked the first for new board member Carlos Haley, having been confirmed by the Senate.